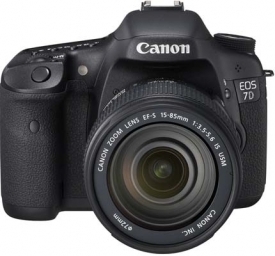 The Canon 7D DSLR camera shoots beautiful and natural stills. 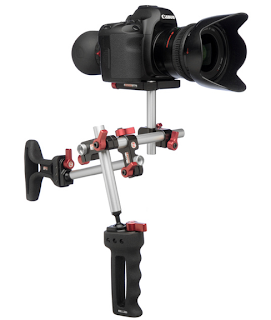 And the same sensor shoots HD video. These are saved on CF cards. As Quicktime movies encoded H.264 with PCM audio. But there are two major problems. One is, the Canon 7D shoots 23.976 fps, not true 24 fps that film in theaters runs at. And the other is that the files have no timecode (TC in short) or reel/source associated with them. HD movie files out of a Canon are called MVI_xxxx where xxxx is a number serially added by the camera. So what happens is that after one finishes the edit, and needs to send it for further post, like colour correction, VFX etc, there is no EDL based route to sending the edit data onward. For 'Stanley ka Dabba', I had devised a workflow where I converted the files from 23.98 to 24fps without any frame loss or motion conversion. I then striped all the files with timecode with one following the next, sort of like they were captured off tape. And I assigned a reel name or source for all the files as per the folder they resided in. Deepa Bhatia, the editor and co-producer of 'Stanley ka Dabba' edited on an Avid Media Composer, I made ALE files for her assistants to import into a bin and then batch imported the original (striped with TC) files from the Canon. That way Avid also 'gets' the TC from the Canon files. After Deepa's edit, the colour correction happened at Reliance MediaWorks. On the Baselight at Reliance, the Avid EDLs that Deepa made out, perfectly conformed the original Canon files and they were on their way to colour grading within minutes. There was no struggle whatsoever. On the same day as 'Stanley ka Dabba' was released, there was another movie released, a horror movie about text messages. This too was shot (partly or entirely) on a Canon DSLR. But they chose to do their post in a different way. They directly imported the Canon files into Avid Media Composer to edit them. No 24fps, no TC. Long story short, that movie had to be re-assembled manually shot by shot, eye-matched on an Autodesk Smoke system. The post facility concerned, simply couldn't fathom a correct method for reproducing the original edit. Similarly, there are other post houses which have yet another interesting workflow for Canon files. They advocate (or so I am told by clients who've been there) first transferring all the Canon 7D files to HDCam tape (eeks 3:1:1 colour sampling) or HDCamSR tape. In a period of nearly extinct and horrendously expensive HDCamSR tapes (after the Japan tsunami-earthquake), this isn't a rather bright suggestion. I'm getting a bit snarky and sarcastic about all this because, as an editor it bothers me no end that people with no desire to find out new solutions, have such a say in the way post-production is (man)handled. 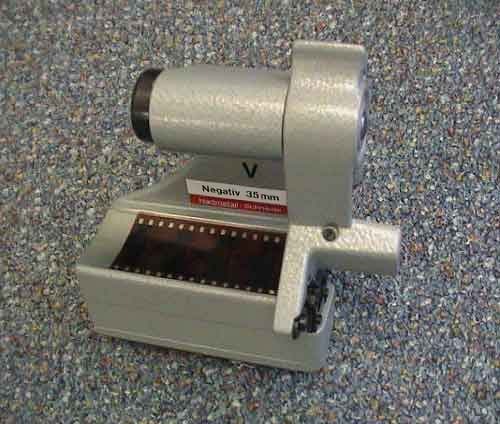 There are also other struggles and horror stories - with Alexa files, bad colour space conversions, loss of timecode, Red R3D file conversions that take days to get done, Weisscam files that just don't open and many such 'Adventures of a digital rebel'. In my opinion 'Stanley ka Dabba showed that if one has a story with a heart, a positive attitude, and the ability to take a calculated risk in doing something for the first time, then there is a medium that's waiting to help you tell your story. There are challenges for sure, and shooting Canon is not exactly simple. So just go to a theatre near you where 'Stanley' is showing, and take a look for yourself. Cinematographers and even DOPs (are they different?) will of course find issues with latitude, resolution, gamma, etc etc. But you know what. With some 'careful' lighting it is entirely possible to make even 35mm film look flat. And some 'adventurous' DI colour correction can easily make film look synthetic and 'inorganic' too. About operations on the Canon 7D, not being able to pull focus or aperture, no optical viewfinder (for video), and other whines from movie film cinematographers. I got an interesting insight at a fashion show a few weeks ago at the Leela. At the head of the ramp during the show, there were photographers taking stills on their DSLRs. How do they focus, without a tape measure, with the artist walking toward them with no 'mark' to stop on, no rehearsal 'for movement'. And stills photographers have to take a frozen moment, so going out of focus is also out of the question. And with the light at fashion shows they are often shooting at wide apertures, so depth of field is shallow. Bottom line. Digital 'movie-making' is on it way to replacing the term 'film-making'. These are early days, of course. Those who forge ahead are the positive ones with guts. The rest will whine and sigh and hang on to film with a naive hope that digital is a fad that will go away and one day we will all go back to film. As far as post production is concerned - editing, colour correction, sound editing and mixing - most of this is digital for a decade or more. 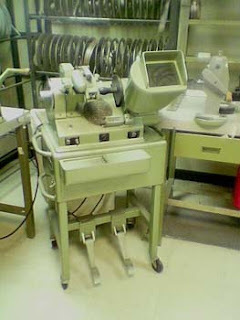 Doing post on digital is no more complex than post for film - managing logs, key codes, cut lists, pull lists, making cement joints, Hamman joints, winding and rewinding film on a winder - I'm glad we got rid of all that. There are a large number of resources and personal experiences for each of these. Forums, blogs, web zines are oozing with information. And simple common sense, along with some basic knowledge of how computers work and store data, also helps. For my part, I've worked hard to be ready for each and every one of these new digital formats. Store, Copy, Convert, Edit, colour grade, finish, backup, archive, re-purpose into new formats... the whole nine yards. So digital doesn't have to be struggle, unless you try hard, do the wrong things, or go to the wrong places.